What does SHI mean in Unclassified? This page is about the meanings of the acronym/abbreviation/shorthand SHI in the Miscellaneous field in general and in the Unclassified terminology in particular. Shi is the Chinese word for "poetry". Shi is traditionally the most poetic of the various forms of Chinese poetry. In modern times, shi can and has been used as an umbrella term to mean poetry in any form or language, whether or not Chinese; but, it may imply or be used to refer to certain classical forms of poetry, for example the folk song derived poetry of the Classic of Poetry, the classic reference of shi. The poetry of China has tended to be especially associated in Europe and America with the written word, the exposure to Europeans and Americans of what to them were and often are the novel implications expressed or latent in Chinese characters and the exquisite beauty displayed by some examples of Chinese calligraphy, including often the writing of poetry. Often, the transmission of these aspects of Chinese was indirectly through Japanese adaptations of Chinese poetry forms, such as kanshi, or writing, particularly kanji: one example of this is Ernest Fenollosa. The unfolding of this historical process has resulted in an undue association in the west of Chinese poetry and written literature, especially the Chinese character. This has not been the case in China. Although historically and culturally, in China literature and literacy has a close association with poetry and the ability to write and to chant poems was for long considered an essential part of being scholar, poetry in China has always had a close association with the spoken, or sung, or chanted word. Thus while shi can mean poetry, it carries implications of the meaning of song or ode. In fact, the folk poetry of the illiterate masses, often in the form of songs or ballads, have been an abiding influence upon the shi of the literati, who often reworked these poems or adapted their styles, as is the case, for example with the Shijing, the Chu ci and the whole Ci genre. Indeed, shi can be divided into many categories, such as Biblical Psalms, Classical Chinese poetry, knight-errant poetry; and so, in short, shi today basically overlaps with the term "poetry". 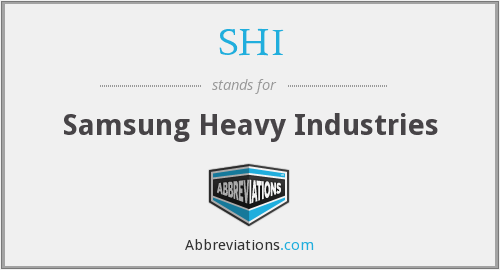 How popular is SHI among other acronyms? "SHI." Abbreviations.com. STANDS4 LLC, 2019. Web. 25 Apr. 2019. <https://www.abbreviations.com/term/2056876>.